Dear friends, I present you my new handmade CAS card. Do you like it? 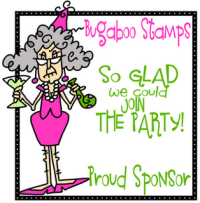 Used: 4 Bugaboo stamps (Kidz Bella Ladybug Flower, Chubby Butterfly I, Bug-Dragonfly and Mini Set-Izzy Flowers), ZIG Cartoonist Kurecolor alcohol markers, ZIG Wink of Stella glitter brush, a padded butterfly and a rhinestone. Welcome to our TTCRD Challenge, week of July 31. Our theme is always "Anything Goes". Mª José Sánchez Yánez 31 Ιουλίου 2018 - 12:52 μ.μ. Que tarjeta más dulce!!!!! Besitos canarios. Beebeebabs 31 Ιουλίου 2018 - 1:05 μ.μ. Chris 31 Ιουλίου 2018 - 1:08 μ.μ. Your card is gorgeous Mia, adorable image and such wonderful vibrant colours! Lisa 31 Ιουλίου 2018 - 2:04 μ.μ. aussie aNNie 31 Ιουλίου 2018 - 2:23 μ.μ. scrAPpamondo 31 Ιουλίου 2018 - 2:25 μ.μ. Bellissima card, Mia! Mi piacciono molto i colori che hai usato! Brava!! Giannis Pit 31 Ιουλίου 2018 - 2:34 μ.μ. Πάρα πολύ όμορφα χρώματα και έντονα Μία μου. Μπράβο. Ανώνυμος 31 Ιουλίου 2018 - 2:44 μ.μ. aga-craft 31 Ιουλίου 2018 - 2:51 μ.μ. KarinsArtScrap 31 Ιουλίου 2018 - 3:34 μ.μ. Louca por porcelana 31 Ιουλίου 2018 - 3:43 μ.μ. HerminiaRegolf 31 Ιουλίου 2018 - 4:00 μ.μ. Me encanta la tarjeta, la muñequita ha quedado muy dulce!!! Mary 31 Ιουλίου 2018 - 4:02 μ.μ. Your card is adorable!!! Love it! My name is Erika. 31 Ιουλίου 2018 - 4:36 μ.μ. Brenda in IN 31 Ιουλίου 2018 - 4:58 μ.μ. Such a fun card with happy, cheerful colors. cuilliesocks 31 Ιουλίου 2018 - 5:13 μ.μ. froebelsternchen 31 Ιουλίου 2018 - 5:55 μ.μ. Ligia 31 Ιουλίου 2018 - 6:47 μ.μ. Valerie-Jael 31 Ιουλίου 2018 - 8:13 μ.μ. Mary 31 Ιουλίου 2018 - 8:28 μ.μ. Άιναφετς 31 Ιουλίου 2018 - 9:12 μ.μ. ΄Τι καλά που κάνεις Μία μου και συνεχίζεις να γλυκαίνεις τη καρδιά μας, με τις όμορφες δημιουργίες σου! Decosur Vintage 31 Ιουλίου 2018 - 9:29 μ.μ. Que bonita Mía! Una flor muy dulce. Pumuky Manualidades 31 Ιουλίου 2018 - 9:35 μ.μ. Bonita tarjeta como todas las que muestras. cotnob 31 Ιουλίου 2018 - 9:36 μ.μ. Such a pretty card Mia, a sweet image and lovely bright colours. Mac Mable 31 Ιουλίου 2018 - 9:37 μ.μ. carol 31 Ιουλίου 2018 - 9:56 μ.μ. brenda 31 Ιουλίου 2018 - 10:57 μ.μ. Pretty summery colours on your lovely card Mia. RJ 31 Ιουλίου 2018 - 11:44 μ.μ. Daffodil Cards 1 Αυγούστου 2018 - 4:01 μ.μ. 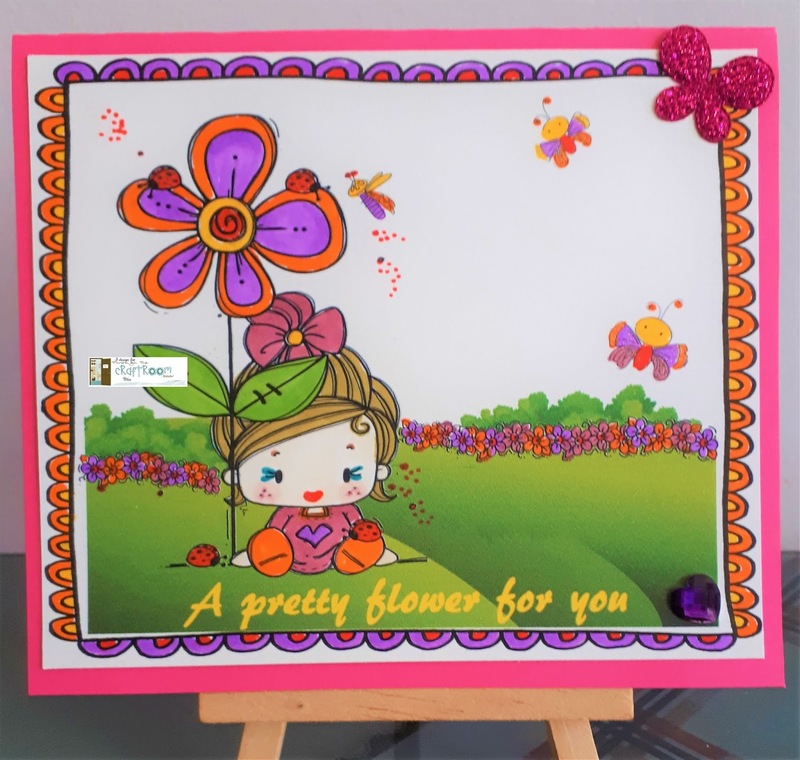 Beautiful colours and card Mia, lovely image and background. Nancy 1 Αυγούστου 2018 - 7:39 μ.μ. This is darling! Love the bright colors especially! Thanks for being with us this week at Just Us Girls! crafty-stamper 2 Αυγούστου 2018 - 1:08 π.μ. MARIELA Inspirada 2 Αυγούστου 2018 - 2:06 μ.μ. Larelyn 5 Αυγούστου 2018 - 9:25 μ.μ. Fun colors and a wonderful image. Thanks for sharing on our Aloha Friday Challenge. Larissa 11 Αυγούστου 2018 - 12:33 π.μ. Fabulous card. I love the scene you created. Thanks so much for joining us at Di's digi designs challenge.